Mad for Monaco: Because I Wanna Be A Cowboy Baby! This was part of a photo-shoot on the occasion of Prince Albert's visit to Cody, Wyoming during which he visited the same stomping grounds of HSH Prince Albert I who was taken on a guided hunting trip by "Buffalo Bill" himself. The faux facial hair may have been a bit over the top but anyone can salute the effort. 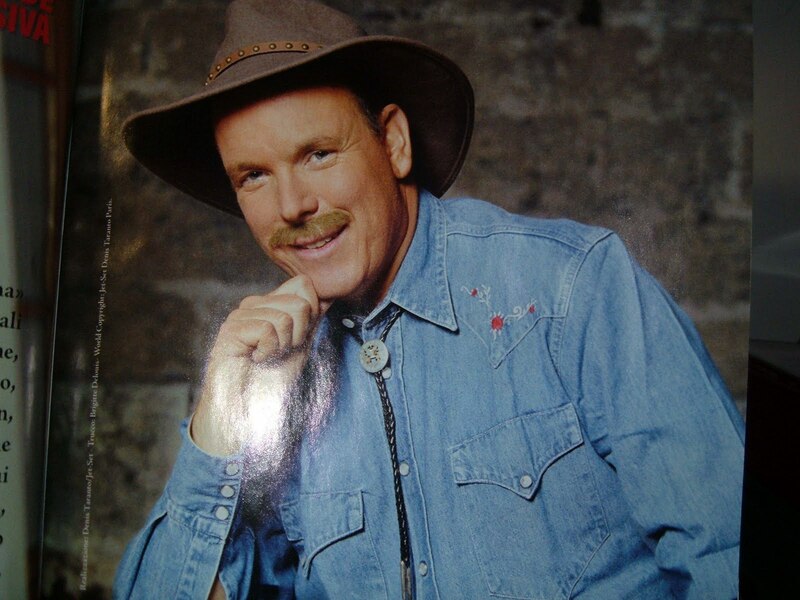 Prince of Monaco -'Gone Country'!